One hour of video can contain several interesting moments. Our tools enable recognizing these fragments, tagging them with time-based metadata, and presenting them in new ways. In addition to automatic scene detection and fragment indexation based on subtitles, we offer a Fragment Tagging Tool, which supports manual annotation on the video timeline. With our Fragment Tagging Tool, anyone can easily tag a video by adding different types of metadata on the timeline. The basic metadata that a user can add includes chapters, themes and keywords, but it is possible to also insert custom fields, such as locations and historical time periods. 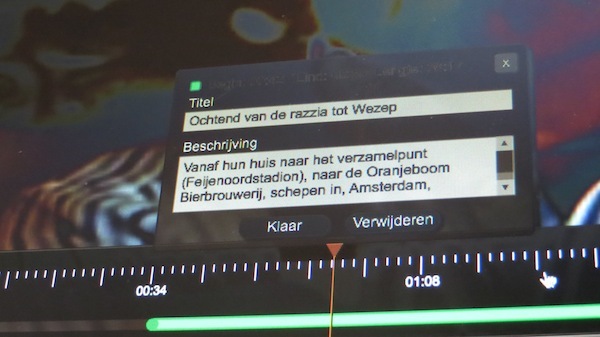 Interactive annotations can also be inserted, such as questions which pop up for the viewer at certain video moments. Determining the start and end points of a tag during the annotation process is quick with the Fragment Tagging Tool’s easy timeline navigation and zooming options. Check out this demonstration movie to see the Fragment Tagging Tool in action. 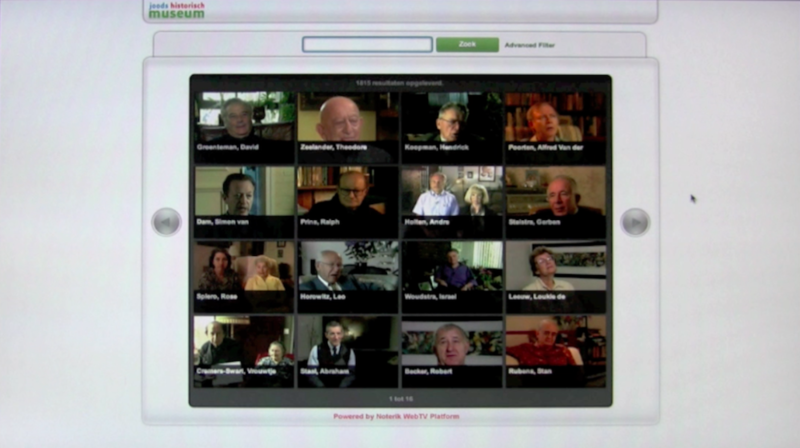 The tool is used in several projects, in particular in the context of our Oral History projects. 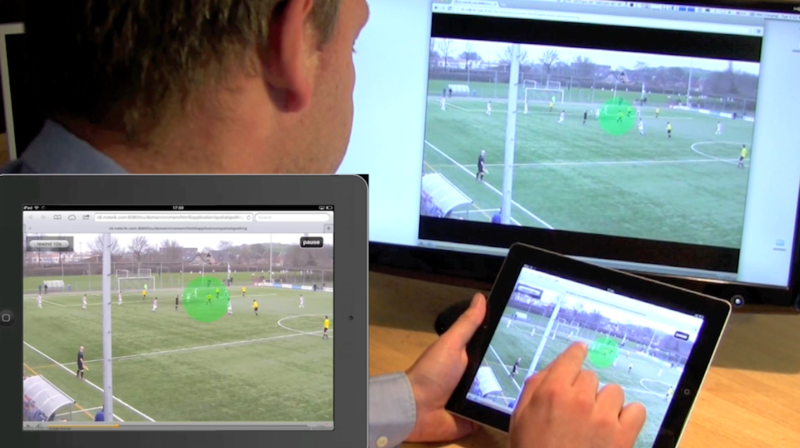 Our tools also enable spatial tagging on top of a video image, which can be used for instance for identifying objects in a video. The development of our Fragment Tagging Tool follows the W3 recommendations in using Media Fragments. This upcoming standard is one of the guidelines that we are using in the LinkedTV project. In this project, Noterik is developing a media fragments server, that generates temporal media fragments from a video file in real time. The service allows for showing parts of a video on a website without the hassle of re-transcoding or uploading a video twice. Please contact us to learn more about our Fragment Tagging Tool!